A lot of people tend to think that the big three domestic companies are the standard when it comes to pick-up trucks and they wouldn’t necessarily be wrong. However, for decades now, the Japanese brands have been steadily making a reputation for themselves with durable, long-lasting vehicles that hold their resale value all while getting the job done. 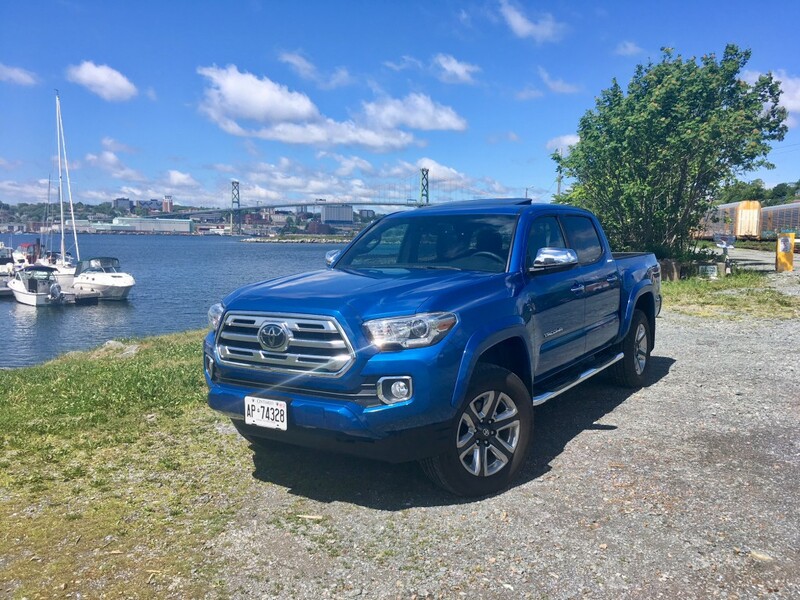 A vehicle that often comes to mind as an example is the Tacoma, which has done what’s expected of a vehicle with a Toyota badge during its 23 years, all while impressing domestic truck purists. 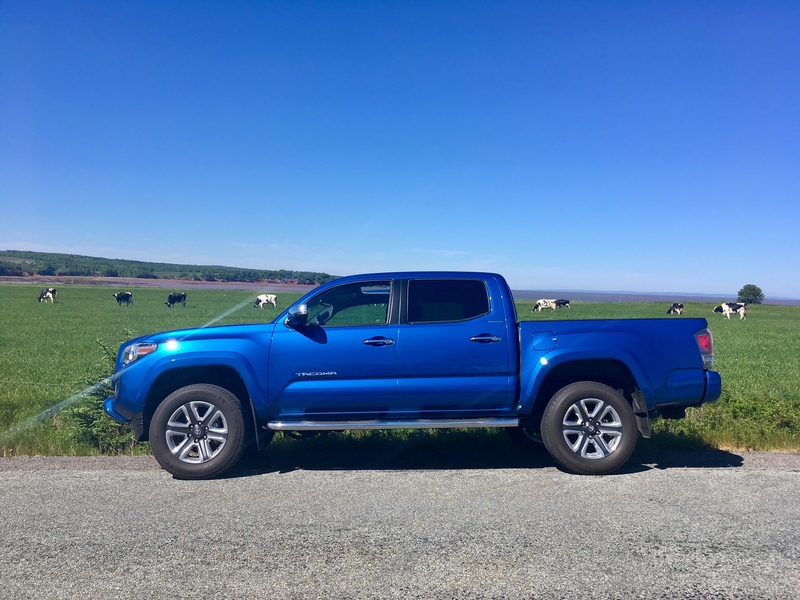 The Tacoma was last redesigned in 2016, but Toyota sent one my way so I could see for myself just what makes the Tacoma a contender in the segment, which, by the way, was once completely abandoned by the domestic brands in favour of half-tonne pick ups instead. But now that the GM twins are back and the Ranger is set to return in a couple of years, is the Tacoma still a viable option? 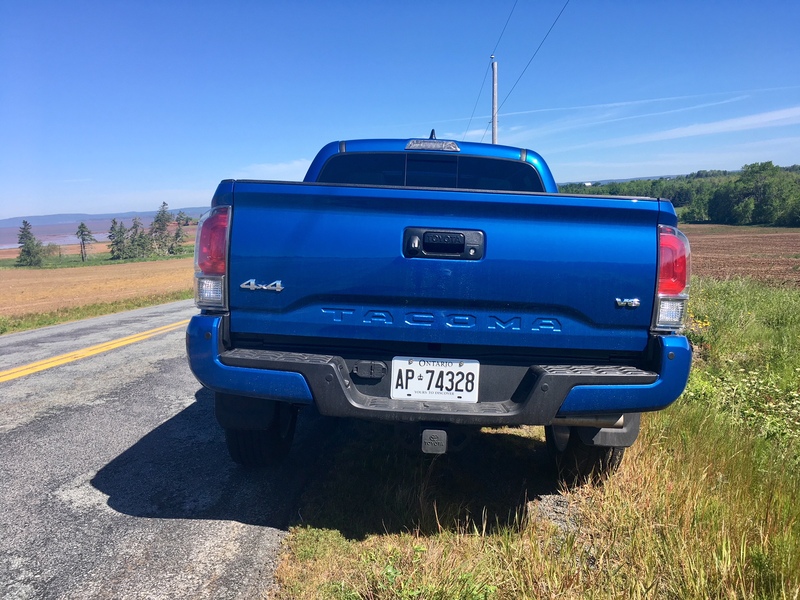 When Toyota redesigned the Tacoma it was generally met with favourable views. 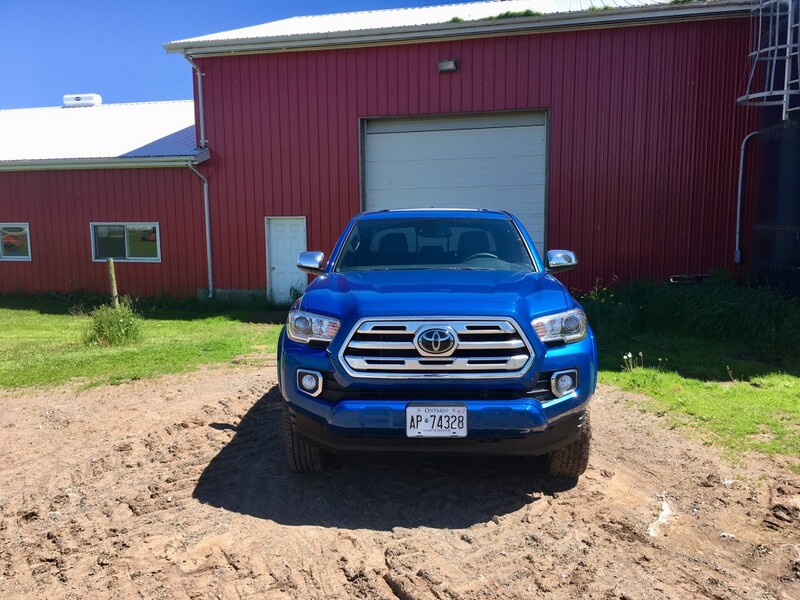 Like most pick-ups, there are numerous trim levels to choose from which gives the Tacoma different styling elements. My top tier Limited model netted me a unique grille, rather nice looking 18-inch alloy wheels, clear lens tail lights and other small, but notable differences. What’s disappointing is even in the top trim, the only premium lighting available is the LED daytime running lights. Still, the Tacoma is still a handsome vehicle from any angle and the redesign seems to be aging well so far. The Limited trim only comes with a double cab and a short box. Interior room is good up front and adequate behind. But if you’re the driver, getting comfortable quickly becomes a frustrating experience because the telescoping feature only offers about an inch of leeway while the seat itself is not height adjustable. I cannot believe that in 2018 there is a new vehicle for sale that does not offer at least some measure of height adjustment in the front seats. Especially at this price point. The seats themselves are comfy enough though, and the old-school dash layout does the trick just fine, but it does look its age. Underneath the rear seats you’ll find plenty of storage in the form of lockable cubby holes. The seat backs themselves can fold making for a flat load floor in the back. The infotainment system is still easy to use and decently responsive, but a lack of Apple CarPlay and Android auto makes the system feel out of date. 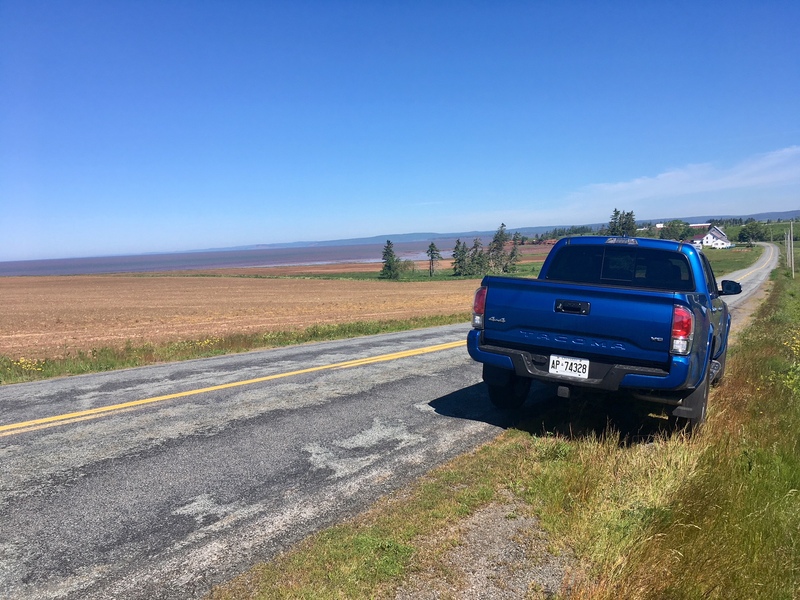 I never really liked Toyota’s nav systems thanks to a lack of detail, outdated information and overall glitchy-ness and unfortunately the Tacoma is no exception. Though it should be said that the audio system is quite good. 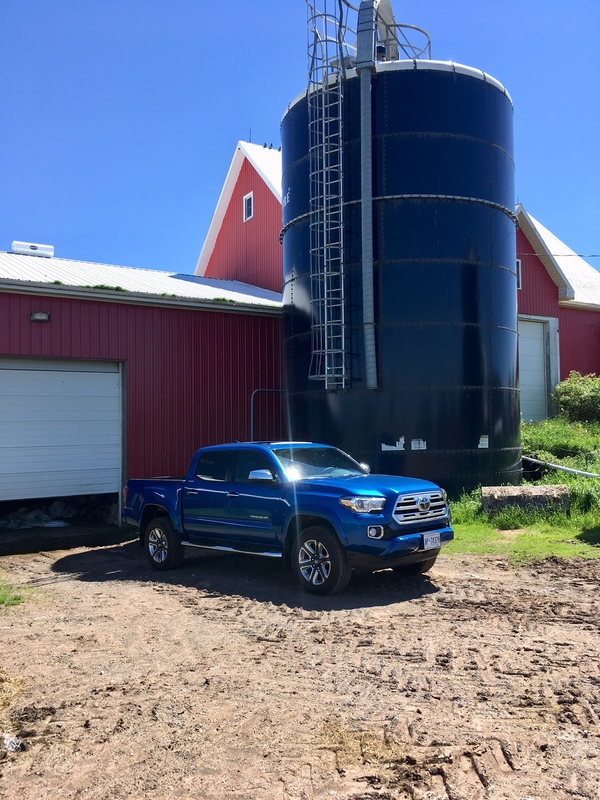 A cool feature is the standard Go-Pro mount, which encourages Tacoma owners to record their off-roading adventures, aka Toyota actually wants you to use your truck as a truck, and not just as a grocery getter. You are limited to the V6 engine option in the top tier trim and it’s a direct injection unit which puts out 279 horsepower and 265 pound foot torque mated to a six-speed automatic. In lower trims, a four cylinder is available which puts out 180 horsepower and 159 pound foot torque. You can pair that engine with a five-speed manual and it should be noted that the V6 can be paired with a six-speed manual. That’s good news for truck-heads who still see the value in rowing your own gears. And for those looking for even more of an old-school experience, the Tacoma can be had as a 4×2 model as well. But the end result with the V6 and the six-speed automatic is a brutish sounding engine that offers good pull on the pavement and adequate low-end power in the dirt. Towing capacity comes in at 6,800 pounds. 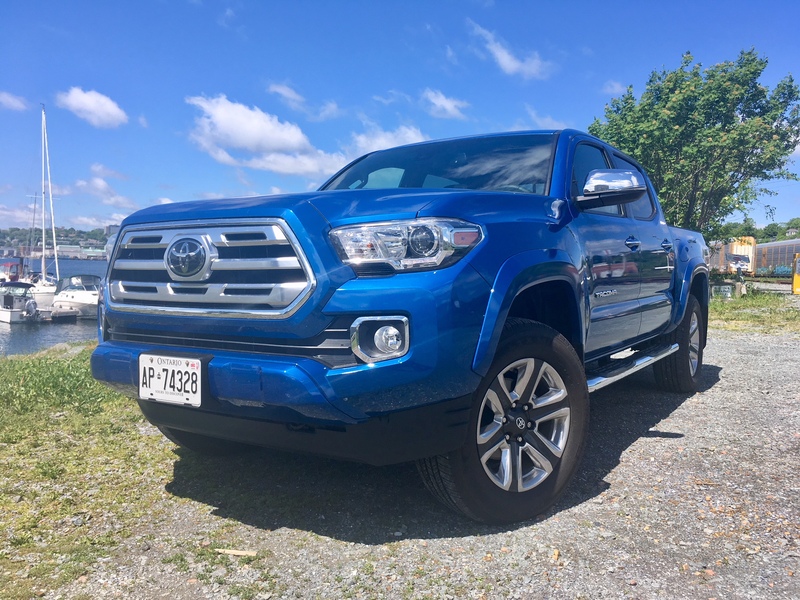 For those wanting a bit more off-road prowess at their disposal, the fantastic looking TRD PRO is the trim you’ll want to select which is made pretty much off-road ready from the dealership. 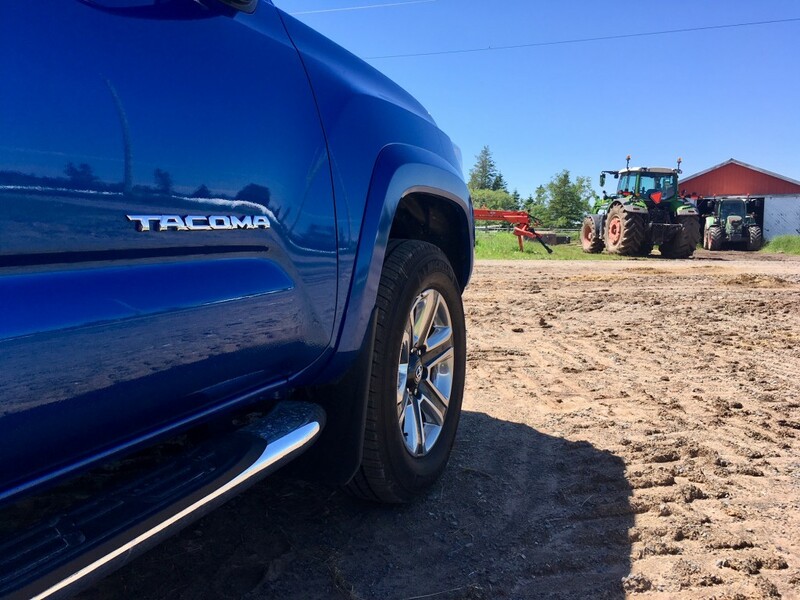 Steering can feel lazy at lower speeds, but overall the Tacoma is fairly easy to maneuver about. I’d call it ‘right-sized’ and that means parallel parking is made simple, in part, thanks to a rear camera, but also due to fairly good outward visibility. Of course, being a pick up, throwing it into the bends with gusto is a fruitless experience. But in the dirt – with just the flick of a knob, putting it into four-wheel drive- the Tacoma truly shines. 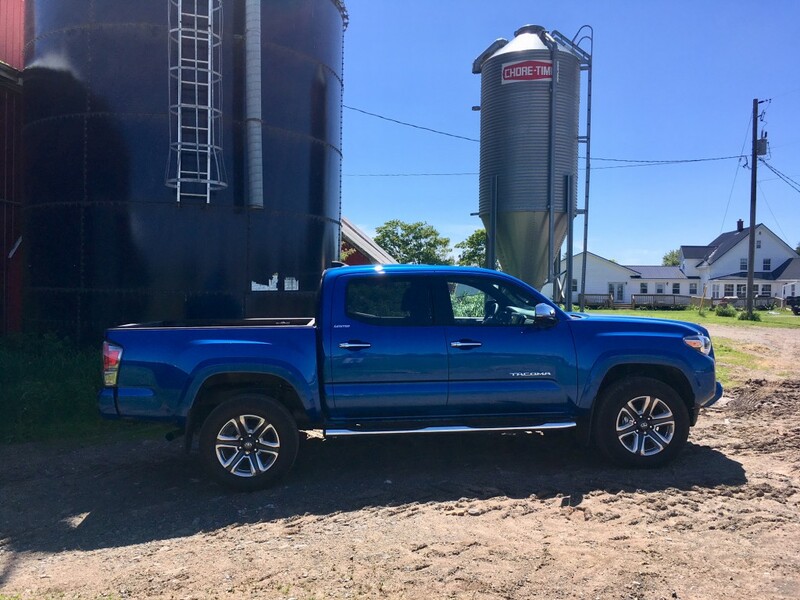 It plays in the mud effortlessly and does it all while maintaining and ‘old-school’ truck feel; much in the same way big brother Tundra does. It has proper crawl control (though I found I often didn’t need it) and a locking differential as well. That’s either a good thing or a bad thing depending on your tastes. GM has refined their trucks to ride almost like Buicks, but the harshness and bruteness of the Tacoma is more to my liking. This is what it should feel like to drive a tuck. Accessing the bed is done -you guessed it- old school, by hoisting yourself in using the rear bumper as a step. There are no side steps, cut-outs into the bumper or hidden steps. Once in, you can make use of a power outlet, LED bed lighting and a spray-on bed liner as standard in the Limited model. The tailgate is also damped. While I didn’t get the chance to haul a lot of stuff during my time with it, the Tacoma was still willing to haul a couple of pallets with me with no fuss. Fuel consumption isn’t necessarily the Tacoma’s strong suit. The V6 with the six-speed automatic and short box configuration officially comes in at 13.2 L/100 kms in the city and 10.7 highway. My real world mix driving returned 12.5. Not terrible, but not great either. 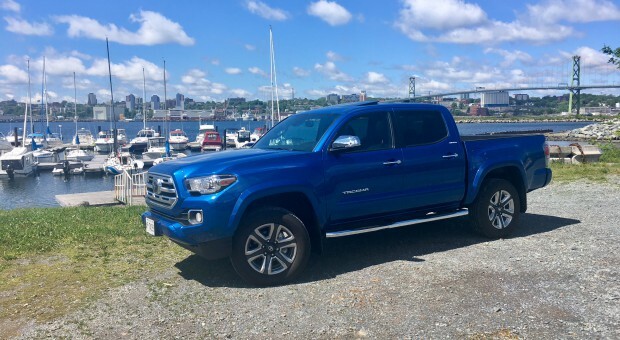 Having driven the GM twins and being impressed by what they offer in the segment, I think my personal preference would still be the Tacoma thanks to its old-school feel (let’s see how many times I can say that in one review), along with its proven track record of reliability and durability. But while I certainly see this as an advantage, there’s dangers to leaving good product untouched for extended periods of time. As mentioned, there’s a new Ranger on its way and there’s even confirmation of a Raptor version in the works. Toyota may be able to keep the Tacoma as is for a bit longer, but the Tacoma will need a few tricks up its sleeve to stay relevant if that’s the case.